Now hear this! 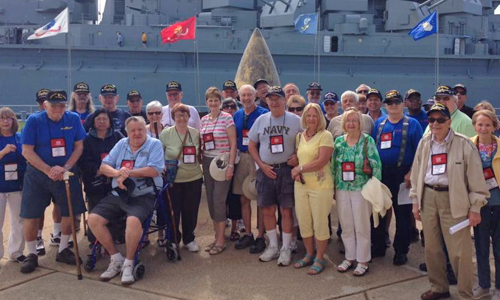 Battleship Memorial Park would like to invite your military organization to hold its next reunion with us. Located on the banks of the Mobile Bay, Battleship Memorial Park is home to two National Historic Landmarks, the WWII battleship USS ALABAMA and submarine USS DRUM. What better place to celebrate military service and friendship than with us. Whether your membership is 20 or 2,000, we can help you plan a memorable event, including lunch or dinner aboard ship or in our Aircraft Pavilion, tours, special events and a complementary Memorial Service. Military Group Tour Rate: $13 per person with free admission for the event coordinator and bus driver. For your lunch and dinner options, please review our menu. 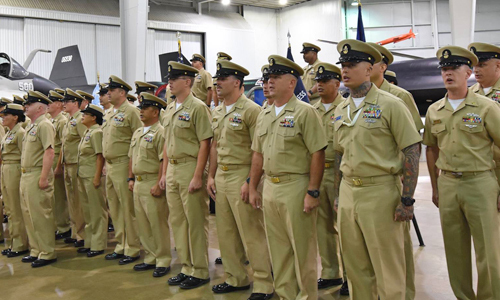 To reserve your Military Ceremony or Reunion, please call us today! Battleship Memorial Park is proud to serve as a memorial park for the United State military, both past and present. 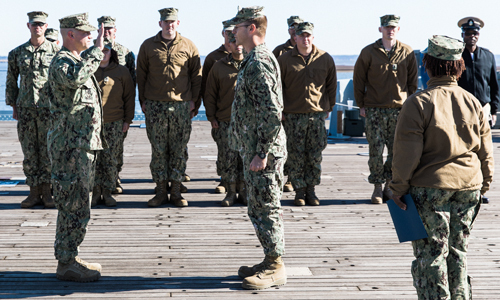 As we serve our mission of preserving and celebrating our military history, we honor our active duty military by offering the use of the park, free of charge, for Reenlistment Ceremonies, Retirement Ceremonies, Commissioning Ceremonies and Promotion Ceremonies. Free admission to the Park with active duty military i.d.